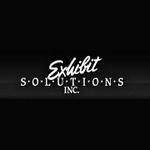 Exhibit Solutions is a full service trade show exhibit and booth design company located in Brampton, Ontario. Established in 1989, John Bratton is the President of Exhibit Solutions. The company serves customers in the Greater Toronto Area. Products Carried: Exhibit Solutions offers a full range of trade show exhibit and booth design services Located in Brampton, Ontario, Exhibit Solutions serves the Greater Toronto Area offering the following products and services: Custom Displays, Custom Exhibit Booths, Exhibit Design, and Display Design. They also offer Event Lighting, Graphic Design Management, Rental Solutions, and Site Labour.